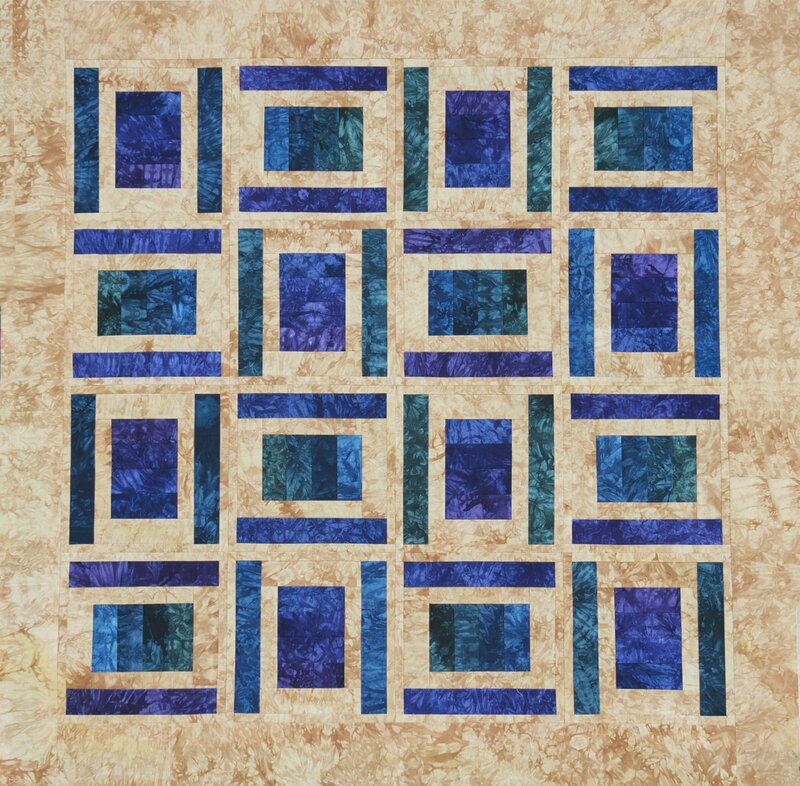 The blocks in this quilt are designed similar to a log cabin block. You can order a kit in the exact colors shown or create your own using the links below for Fat Quarter Bundles, Dye-It-Bites and Yardage. For the Wall Size, select a color from the Dye-It-Bites, 8 Packs plus 2 1/2 yards. For the Throw Size, select a color from the 8 Pack Fat Quarter Bundles plus 4 yards. For the Queen Size, select a color from the 8 Pack Fat Quarter Bundles (you will need 2 bundles of the same color) plus 7 yards. Add a note that you are creating your own kit and the pattern will be free. The sample shown is the Wall Size and finishes 47" x 47".